Harquahala Mountains, Arizona, March 2005. 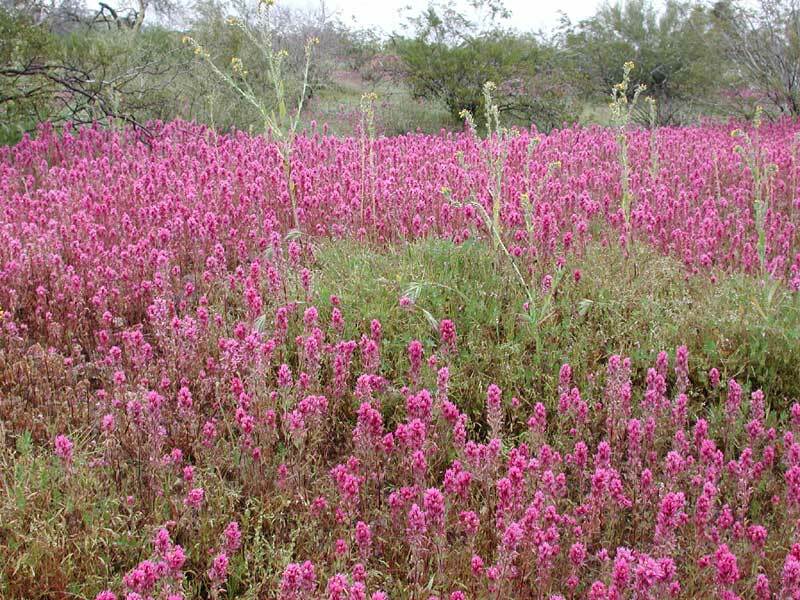 SPRING/ANNUAL: In favorable locations following wet winters this wildflower will cover vast swaths with vivid magenta contrasting with other swaths of rainbow-colored flowers. The root systems can penetrate those of other nearby plants and are parasitic. Near Aguila, Maricopa County, Arizona on 19 March 2005. FLOWERS: The actual flowers are rather small; the vivid color is due as much to the pigmented surrounding bracts and upper leaves as to the flower petals. LEAVES: Leaves are 'pinnatifid', i.e. they are divided into linear segments almost to the mid-rib. Leaves and herbage are finely hirsute. RANGE: Sonoran Desert of Arizona particularly on desert pavement and relatively flat areas. 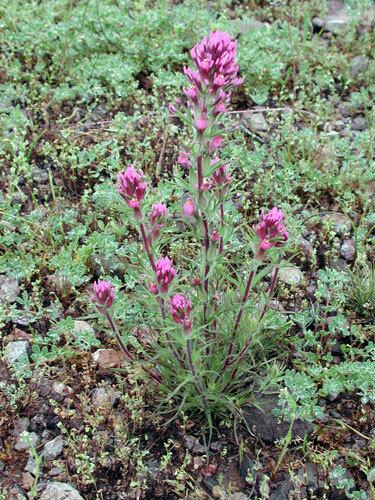 This species like other members of Castilleja is variable. FRUIT: Dry capsules with very small seeds.